Donald Trump selected a new head of scientific research for the Department of Agriculture this week: Scott Hutchins, an entomologist who has spent his career at Dow Agroscience’s pesticide and seed division. His work focuses on chemical solutions to farm pests. The unit became known as Corteva Agriscience in 2017, after Dow merged with DuPont. The White House released the news of the nomination as the US president was making headlines for his meeting with Vladimir Putin in Helsinki. The post has broad implications for the future of American agricultural science and policy-making. Back in April, the administration tapped Ken Isley, a 30-year Dow Agroscience/Corteva veteran, to lead the USDA’s Foreign Agricultural Service. In October 2017, another former Dow man, Ted Mckinney, was confirmed by the Senate as undersecretary for trade and foreign agricultural affairs. McKinney had served for 19 years on Dow Agroscience’s government affairs (read: lobbying) team. In addition, former EPA administrator Scott Pruitt’s first major decision after assuming his post last year was to not ban chlorpyrifos, one of the most widely used pesticides on American farms, after EPA scientists concluded it was not safe for any use. 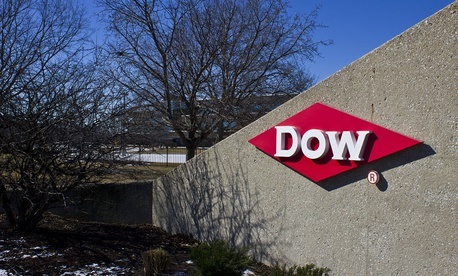 Dow Chemical, which makes chlorpyrifos, has long maintained the chemical’s safety (and maintains a website, chlorpyrifos.com, where it questions the integrity of academic research and promotes the chemical as safe). A body of scientific research says exposure to chlorpyrifos during pregnancy resulted in structural changes to the developing fetus’ brain. These abnormal brain changes began in utero and continued through childhood, especially in brain regions responsible for decision making, language, and memory, according to a Columbia University study. It has been linked to ADHD and autism in children. Farm workers who handle the chemical are also at risk of nervous-system disorders. The chemical inhibits the body’s ability to produce cholinesterase, an enzyme that helps transmit nerve impulses in the body. As global leader of integrated field sciences for Corteva, Hutchins works on chemical solutions to pest management, according to E&E News. Hutchins holds a doctoral degree in entomology, and once served as president of the Entomological Society of America. “His credentials in both science and leadership are hard to match, and he knows first-hand the value of research, government, and industry working together to support agriculture and serve society,” the society’s current president, Michael Parrella, said in a statement. Huthcins’ degree is important to the position: Since 2012, the Farm Bill has required whoever holds the post of undersecretary of Agriculture for research, education and economics at USDA to have a science background. Sam Clovis, a former Trump campaign aide, withdrew from the position last year over outcry that he lacked a science degree.